How to disable Ads on Android Lock screen - Turbo Cleaner & Fast Cleaner? Do you see an advertisement banner on your Android lock screen? There are plenty of applications in Google Play that are supported by advertisements, but they display Ads within their app screen. However, certain application (such as Turbo Cleaner, Fast Cleaner, TrustGo, Opera Mini etc.) may go beyond their boundary limits and display Ads on Lock screen & home screen. If you ever see an advertisement on your Lock screen, then here’s how you can disable it. 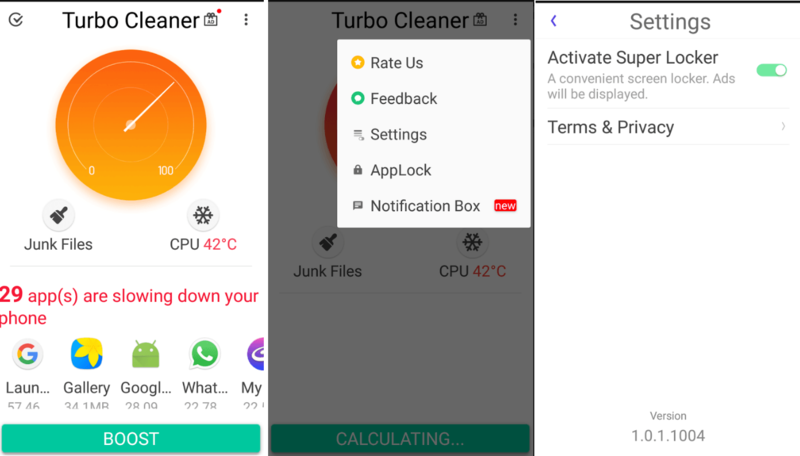 For example, my dad was using “Turbo Cleaner and Fast Cleaner” applications in Android and a quick search revealed that these apps are known for displaying Ads on Android lock screen. Fortunately, they provide an option to disable Ads. Here’s how it’s done in Turbo cleaner and steps are similar in Fast Cleaner as well. How to disable Ads on Android Lock screen – Turbo Cleaner & Fast Cleaner? Wait, if you are using TrustGo (by default this application enables charging screen with an advertisement) or another Antivirus application, then you may need to check those settings as well. How to disable Ads on Lockscreen by Opera Mini? Click here to disable it.